BACKGROUND: Prostate cancer is the most common cancer diagnosed in men in developed countries. Using molecular testing may help to improve outcomes in this clinically challenging group. Since 2011, the Prostate Core Mitomic Test (PCMT), which quantifies a 3.4-kb mitochondrial DNA deletion strongly associated with prostate cancer, has been used by more than 50 urology practices accessing pathology services through our laboratory in New Jersey. However, the use of a molecular test can only be beneficial if it affects patient management and improves outcomes. OBJECTIVE: To determine whether repeated biopsy decision-making was affected in a quantifiable manner through the adjunct use of molecular testing with the PCMT. METHODS: In this observational study we conducted 2 independent, structured query language database queries of our patient records at our laboratory, QDx Pathology Services, in Cranford, NJ. Query 1 included all men who had a negative prostate biopsy and a negative PCMT between February 1, 2011, and June 30, 2013. Men with a previous diagnosis of cancer were excluded. Query 2 included all men who had a negative prostate biopsy and a repeated biopsy between February 1, 2011, and September 30, 2013. 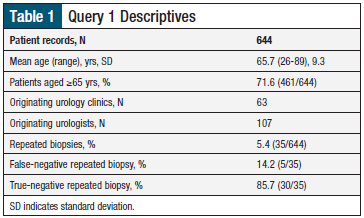 The data exported for each query included the unique specimen number for an index biopsy, the interval between biopsies where present, the unique specimen number for a follow-up biopsy where present, histopathology for all biopsies, the biopsy procedure dates, the patient’s date of birth, and the PCMT result when utilized. The patient rebiopsy rates and intervals were compared between the patients who were using PCMT and those who were not to assess whether the adjunct use of the PCMT impacted the rebiopsy decision-making process. RESULTS: Query 1 identified 644 men who had a negative biopsy and a negative PCMT result within the study period. Query 2 identified 823 men with a repeat biopsy after the initial negative index biopsy within the study period. Of these men, 132 had PCMT to inform their care. This patient population of 1467 men originated from US-based clinical urology practices. Evaluation of the impact on physician behavior demonstrated a general trend toward the earlier detection of prostate cancer on repeat biopsy by an average of 2.5 months and a coincident increase in cancer detection rates for urologists using the deletion assay in their rebiopsy decision-making process. Importantly, this trend was only observed when men with atypical small acinar proliferation (ASAP) on index biopsy were not considered. In the 644 men with a negative PCMT result, only 35 (5.4%) were subjected to a follow-up biopsy, with 5 (14.3%) of the 35 men identified as having cancer. Finally, the cohort of 132 men who had PCMT and repeat biopsy was compared with the published data supporting PCMT’s ability to predict rebiopsy outcome. The key metrics of sensitivity and negative predictive value were comparable and within the 95% confidence intervals of the reported work. CONCLUSION: Molecular tests, such as the PCMT, are useful in addressing the sampling error of prostate needle biopsy and providing additional evidence to inform the clinical uncertainty regarding initial negative prostate biopsy when ASAP is not present. Longitudinal monitoring of clinical impact indicators provides the necessary inputs to better allocation of healthcare resources in the short- and long-term. Furthermore, at least 20% to 30% of prostate biopsies performed after elevated PSA levels result in false-negative findings.5,6 A mean of 24.1% of men with high-grade prostatic intraepithelial neoplasia and 40.2% of men with atypical small acinar proliferation (ASAP) have underlying prostate cancer that is subsequently diagnosed on repeated biopsy.7,8 This suggests that repeated biopsy should be performed within 12 months or earlier of the index biopsy for men diagnosed with either of these 2 conditions. However, significant challenges exist to adequate sampling of the prostate by means of the standard needle biopsy technique, including differential access to all regions of the gland, the inverse relationship of cancer detection to prostate size, and limited interpretable information from ultrasonography used to guide the biopsy needle. Furthermore, the resultant evaluable tissue from a typical 12-core needle biopsy procedure represents <0.04% of the prostate,9 a value that should inform our understanding of the poor reproducibility of cancer detection using a biopsy alone. These observations highlight the need for additional diagnostic tests that can be useful in reducing the sampling error of prostate biopsy that is observed in current clinical practice. 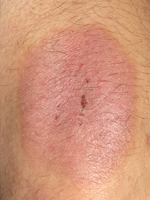 Of paramount importance is the need to triage the number of men who are candidates for biopsy by elevated PSA levels to mitigate the morbidity and costs associated with the biopsy procedure. In 2010, Robinson and colleagues reported on the performance of one such test,10 which has been marketed in the United States since 2011 as the Prostate Core Mitomic Test (PCMT). In a study of 101 patients, a polymerase chain reaction–based assay measuring a 3.4-kb mitochondrial DNA deletion in index biopsy prostate tissue was very predictive of future prostate cancer diagnosis.10 This particular deletion was shown to predict a positive biopsy in 17 (85%) of the 20 men who were subsequently diagnosed with cancer on a repeated biopsy, suggesting an acceptable number of false-negative results of only 15%.10 The test specificity was 54%, and the negative predictive value was 91%, the latter indicating that a negative test result could be strongly associated with the absence of cancer on repeat biopsy. The large extent of the mitochondrial DNA deletion field effect contributes to the low false-negative rate of 15%, an outcome of the large number of normal-appearing cells that are affected by the presence of a prostate tumor. This low false-negative rate, coupled with the high negative predictive value reported at 91%, suggest that this test would be ideally used to avoid or delay additional biopsies when the biomarker is not detected at clinically significant levels. Because the PCMT assay has been marketed since 2011, our current investigation sought to evaluate the impact of the PCMT on patient management in the clinic setting among patients with a negative index biopsy. QDx Pathology Services is a national, independent, clinical and anatomical pathology laboratory servicing US-based medical practices, including urologic practices. This service necessitates compiling basic demographic and clinical data for each patient, as well as detailed pathology information in our internal relational database of medical records. To evaluate the impact of the use of the PCMT on the repeated biopsy decision-making process, 2 independent (structured query language) queries of this database were completed. Query 1, which was designed to assess the impact of a negative PCMT result on the incidence of repeated biopsy, included all men who had a negative prostate biopsy between February 1, 2011, and June 30, 2013, and a negative PCMT result. Men with a previous diagnosis of prostate cancer were excluded from the study. The negative biopsies included findings of benign ASAP, high-grade prostatic intraepithelial neoplasia, inflammation, and other nonmalignant conditions. The data elements exported included unique specimen identification for the index biopsy, date of birth, histopathologic findings for the index biopsy, procedure date for the index biopsy, the PCMT result, and the PCMT date. When a repeated biopsy was performed, the unique specimen identification, histopathology, and procedure date were exported. To allow additional time for a repeated biopsy to occur, the biopsy period was extended by 3 months—to September 30, 2013. Query 2, which was designed to assess the difference in repeated biopsy intervals between patients who had a PCMT result and those who did not, included all men with a negative index biopsy and a repeated biopsy within the same time periods as Query 1. These men were further classified by whether the PCMT occurred during the interval between the index and the repeated biopsies. The data elements that were exported in Query 2 were identical to those exported in Query 1. PSA values were not included, because of inconsistent reporting by urologists at the time of the biopsy sample submission. The data were exported to an electronic spreadsheet for further analysis. Because these test records were related to the commercial use of the test, informed consent was not obtained. Once it was extracted from the clinical database, patients’ information was deidentified for analysis, and thus no protected health information or Health Insurance Portability and Accountability Act information were collected or reviewed in this study. Details on the development, evaluation, and optimization of PCMT have been previously reported.10,11 Briefly, the PCMT detects a 3.4-kb mitochondrial DNA deletion that appears in and around prostate cancer cells, illustrating the effect of field cancerization. This field effect extends broadly throughout the prostate when cancer is present, contributing to the high test sensitivity observed in this study and in a previous report.12 The 3.4-kb deletion removes all or part of a number of mitochondrial-encoded genes required for the proper functioning of the electron transport chain, including ND4, ND4L, and ND5, which affect the largest of the respiratory complexes, Complex I. The clinical characteristics were summarized using count and percentages for the categorical data, and the mean, standard deviation, and range for the continuous variables. The time interval between the index biopsy and the follow-up biopsy was calculated using the pathology specimen dates. Fisher’s exact test was used to test for a significant difference between groups. Statistical analysis was performed using GraphPad Prism 5 for Windows (GraphPad Software, Inc; La Jolla, CA). The Query 1 results are summarized in Table 1. This search identified 644 men (from 63 US-based urology clinics and 107 urologists) who had a negative index biopsy and a negative PCMT result during the study period. The men’s mean age was 65.7 years (range, 26-89 years). The majority (71.6%) of patients were aged ≥65 years. There were 35 (5.4%) repeated biopsies within the study period ending September 30, 2013, of which 30 (85.7%) were confirmed as being negative during a follow-up biopsy and 5 (14.2%) were false-negative. Table 2 summarizes the clinical characteristics of the men who were incorrectly classified as negative by the PCMT as determined by repeated biopsy histology outcome. Three of the 5 men had ASAP on the index biopsy, and 2 had high-grade prostatic intraepithelial neoplasia; 4 of the 5 men had low-volume cancers, with no more than 2 biopsies with cancer. Of the 5 men, 3 had a Gleason score of 6 (3 + 3) and 2 had a Gleason score of 7 (3 + 4). The mean number of days allowed for follow-up, which was calculated by subtracting the study end date (September 30, 2013) from the date of the index biopsy, was 485 days or 1.3 years. The minimum follow-up period was 52 days (0.14 years), and the maximum was 965 days (2.64 years). The Query 2 results are summarized in Table 3. This search identified 823 men from 68 US-based urology clinics and 124 urologists who had a repeat biopsy after an initial negative index biopsy within the study period. The mean age was 63.8 years (range, 41-87 years), and 400 (48.6%) of the men were aged ≥65 years. Of the 823 men, 132 (16%) had a PCMT during the time interval between biopsies, and 691 (84%) did not. When the repeated biopsy intervals between these groups were compared, the intervals were generally equivalent (mean difference, 1.3 months). Table 4 compares the repeated biopsy intervals and cancer detection rates for men without ASAP. Excluding these men with a finding of ASAP on the index biopsy, men with a positive PCMT result were rebiopsied on average 2.5 months earlier than men who did not have a PCMT before a repeated biopsy (P = .012). The 132 men with a negative index biopsy and a PCMT before a repeated biopsy within the study period were compared with test performance reported previously in the literature.10 The key metrics of sensitivity and negative predictive value were not significantly different at 83% (95% confidence interval [CI], 66-93) and 83% (95% CI, 67-94), respectively, at a 99% confidence level. An ideal test for predicting prostate cancer on repeated biopsy will have a low false-negative rate, providing greater certainty in a negative test result; that is, that cancer is very probably absent when the test is negative. Greater certainty of a negative test result provides a sound basis for when future biopsies can be avoided or delayed. With an observed sensitivity of 83% in this study, and of 85% in Robinson and colleagues’ study,10 as well as negative predictive values of 83% and 91%, respectively, the PCMT has an acceptably low false-negative rate to fulfill this requirement. Indeed, in the assessment of 644 patients with negative PCMT results, the false-negative rate was 14.3%, consistent with the 15% and 17% rates reported in the study by Robinson and colleagues10 and the PCMT User Group in our study. 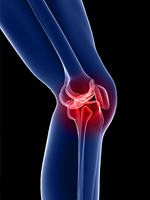 In addition, a trend was observed wherein on exclusion of patients with ASAP at index biopsy, patients with a positive PCMT result were on average rebiopsied earlier than patients who did not have a PCMT to inform their care. This trend is only apparent when ASAP is excluded, which may be a result of obfuscation by the already defined practice guidelines for the near-term rebiopsy of patients with findings of ASAP on biopsy. This suggests that the PCMT and similar tests have limited utility in the management of men with ASAP on index biopsy. Of note, men who have a PCMT and a repeated biopsy on average 2.5 months in advance of those men who were not using the test had a marginally increased cancer detection rate from 18.7% to 22%, perhaps as a result of better elimination of patients without cancer to detect from the rebiopsy pool. Contrasted with the repeated biopsy rate calculated in our negative test results cohort, an 8-fold reduction in the repeated biopsy rate was observed. Although the mean follow-up interval in our study of 16 months was less than in the Prostate, Lung, Colorectal, and Ovarian Cancer Screening Trial, the primary recommended repeated biopsy intervals of 3, 6, and 12 months are within this period, and thus it is expected that the majority of men intended for repeated biopsy are represented within our study. The main limitation of this study is the inclusion of patients from a single pathology laboratory, which reflects a lack of availability of additional clinical information that would have allowed for more detailed subgroup analyses, as well as the family history of prostate cancer among patients and other molecular testing results, as a basis for additional comparisons. The inclusion of molecular testing in the management of patients with negative prostate biopsy results can be of substantial benefit to the patient and the healthcare system. Especially where routine follow-up measures include surgical biopsy, the ability to triage the number of patients who are unnecessarily exposed to the associated comorbidities and the expense associated with a biopsy becomes paramount. 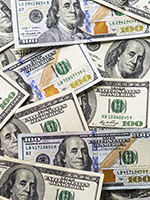 The continued assessment of new adjunct tests to the diagnostic pathway in this patient population is beneficial for establishing best practices and directing healthcare spending appropriately. Tests, such as the PCMT, with proved benefit in the clinical setting can be a welcomed tool in the clinician’s decision-making toolkit. The authors wish to acknowledge Jennifer Beebe­Dimmer, MPH, PhD, and Julie Ruterbusch, MPH, at the Karmanos Cancer Institute and Wayne State University School of Medicine, Detroit, MI, for their contributions to the analysis. Funding for this article was provided by MDNA Life Sciences, which develops molecular diagnostic tests based on the mitochondrial genome. Ms Legisi and Dr Qureshi are employees, and Ms DeSa is a former employee, of QDX Pathology Services, which earns fees from the Prostate Core Mitomic Test. 1. Ferlay J, Shin HR, Bray F, et al. Estimates of worldwide burden of cancer in 2008: GLOBOCAN 2008. Int J Cancer. 2010;127:2893-2917. 2. Siegel R, Ma J, Zou Z, Jemal A. Cancer statistics, 2014. CA Cancer J Clin. 2014;64:9-29. Erratum in: CA Cancer J Clin. 2014;64:364. 3. Soneji S, Beltrán-Sánchez H, Sox HC. Assessing progress in reducing the burden of cancer mortality, 1985-2005. J Clin Oncol. 2014;32:444-448. 4. Hayes JH, Barry MJ. Screening for prostate cancer with the prostate-specific antigen test: a review of current evidence. JAMA. 2014;311:1143-1149. 5. Singh H, Canto EI, Shariat SF, et al. 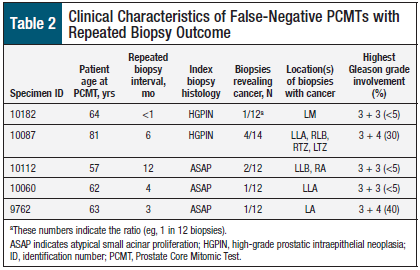 Predictors of prostate cancer after initial negative systematic 12 core biopsy. J Urol. 2004;171:1850-1854. 6. Moussa AS, Jones JS, Yu C, et al. Development and validation of a nomogram for predicting a positive repeat prostate biopsy in patients with a previous negative biopsy session in the era of extended prostate sampling. BJU Int. 2010;106:1309-1314. 7. Epstein JI, Herawi M. Prostate needle biopsies containing prostatic intraepithelial neoplasia or atypical foci suspicious for carcinoma: implications for patient care. J Urol. 2006;175(3 pt 1):820-834. 8. Montironi R, Mazzucchelli R, Lopez-Beltran A, et al. Mechanisms of disease: high-grade prostatic intraepithelial neoplasia and other proposed preneoplastic lesions in the prostate. Nat Clin Pract Urol. 2007;4:321-332. 9. Parr RL, Mills J, Harbottle A, et al. Mitochondria, prostate cancer, and biopsy sampling error. Discov Med. 2013;15:213-220. 10. Robinson K, Creed J, Reguly B, et al. Accurate prediction of repeat prostate biopsy outcomes by a mitochondrial DNA deletion assay. Prostate Cancer Prostatic Dis. 2010;13:126-131. 11. Maki J, Robinson K, Reguly B, et al. Mitochondrial genome deletion aids in the identification of false- and true-negative prostate needle core biopsy specimens. Am J Clin Pathol. 2008;129:57-66. 12. Mills J, Martin L, Guimont F, et al. Large-scale 3.4kb mitochondrial genome deletion is significantly associated with a prostate cancer field effect. J Urol. 2013;189(4S suppl):Abstract 1474. 13. Warburg O. On the origin of cancer cells. Science. 1956;123:309-314. 14. Higuchi M, Aggarwal BB, Yeh ET. Activation of CPP32-like protease in tumor necrosis factor-induced apoptosis is dependent on mitochondrial function. J Clin Invest. 1997;99:1751-1758. 15. Higuchi M. Regulation of mitochondrial DNA content and cancer. Mitochondrion. 2007;7:53-57. 16. Carew JS, Huang P. Mitochondrial defects in cancer. Mol Cancer. 2002;1:9. 17. Dakubo GD, Jakupciak JP, Birch-Machin MA, Parr RL. Clinical implications and utility of field cancerization. Cancer Cell Int. 2007;7:2. 18. Haaland CM, Heaphy CM, Butler KS, et al. Differential gene expression in tumor adjacent histologically normal prostatic tissue indicates field cancerization. Int J Oncol. 2009;35:537-546. 19. Pinsky PF, Crawford ED, Kramer BS, et al. Repeat prostate biopsy in the Prostate, Lung, Colorectal and Ovarian Cancer Screening Trial. BJU Int. 2007;99:775-779. PHYSICIANS: Analysis of the data among clinical parameters, such as atypical small acinar proliferation, high-grade prostatic intraepithelial neoplasia, and Gleason score, would be valuable, because those pose uncertain clinical next steps. For example, physicians often have clear protocols for lower and higher Gleason scores relative to a score of 5 or 6. Another potential limitation is the comparison of the 2 cohorts during the early period of the data evaluation relative to the availability of the PCMT. It is possible that physicians can apply a new test to situations where there is no question of next clinical steps to gain a familiarity and confidence in the results. Such utilization would skew the test’s actual impact on the clinical decision-making, such as whether to perform a repeated biopsy. PATIENTS/PHYSICIANS: Patients and providers should discuss the available data and experience (eg, details of the biopsy results, prostate-specific antigen history, family history, digital rectal examination results, and age) to determine the clinical course of action in the individual case. In the context of Legisi and colleagues’ conclusions,3 the PCMT may aid clinical uncertainty relative to repeated biopsy. If the cohort comparison proves true over time, there is a great benefit to a reduction in repeated biopsy if it is unnecessary, as well as quicker action to repeated biopsy when appropriate. Patients and providers should also welcome the advancements in molecular tests, because they hold promise to improve over time. In the future, molecular tests may be able to guide the choice of treatment by predicting the likelihood of outcomes, such as biochemical progression after radical prostatectomy, or the likelihood of death if the patient does not receive treatment. PAYERS: Molecular tests, such as the PCMT, may result in a reduced need for repeat biopsy, and thus, may decrease the complications associated with biopsy and overtreatment. Such clinical advancement could reduce the cost of care and give rise to evidence-based, tailored approaches for individualized care management. If the impact of the PCMT on clinical decision-making is proved by a robust, large-scale study, it would be beneficial to patient outcomes and reduce the economic burden on the healthcare system. Furthermore, health plans may consider guideline development to molecular tests when the clinical path forward is unclear, such as in the case of a biopsy with a Gleason score of 5 or 6. It may not be necessary to run such a test for a patient with a Gleason score of ≤4 and a normal digital rectal examination (DRE) or for a patient with a Gleason score of ≥7 and a suspicious DRE result. Guideline-based utilization, with a demonstrated change in clinician behavior, would be of special interest. 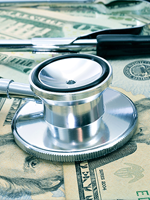 Payers should consider the economic benefits and the benefits of improvement in quality of life for patients who avoid the need for repeated biopsies. 1. National Cancer Institute. Surveillance, Epidemiology, and End Results stat fact sheets: prostate cancer. https://seer.cancer.gov/statfacts/html/prost.html. Accessed November 30, 2016. 2. Moyer VA; for the US Preventive Services Task Force. Screening for prostate cancer: U.S. Preventive Services Task Force. Ann Intern Med. 2012;157:120-134. 3. Legisi L, DeSa E, Qureshi MN. Use of the Prostate Core Mitomic Test in repeated biopsy decision-making: real-world assessment of clinical utility in a multicenter patient population. Am Health Drug Benefits. 2016;9(9):497-502.